But to change things up a little bit right now, a picture of Sammi that always makes me chuckle. 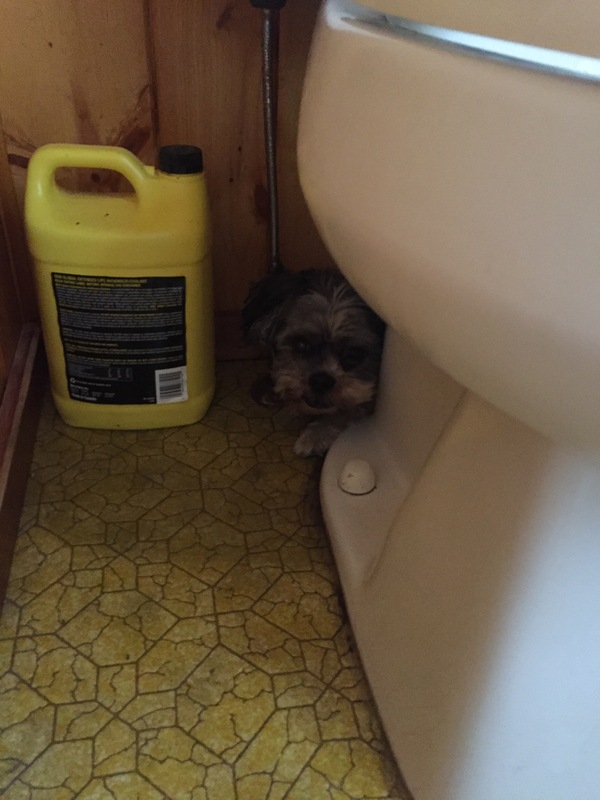 Whenever it thunders, or people light fireworks (like when this picture was taken), or a car backfires, Sammi runs for the smallest space she can find to hide. One of her favorites is behind the toilet. Poor girl.